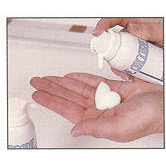 Alcohol foam, water replacement hand germicidal. 100% transient organism elimination. 24/7oz cans per case.